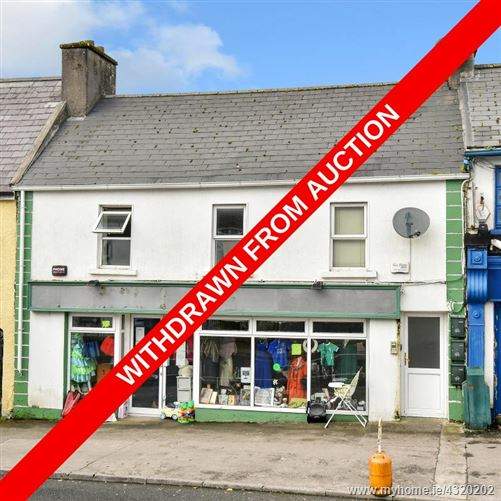 Being offered to the market via Public Auction, Bride Street Loughrea offers an excellent investment opportunity to acquire a large premise with mixed use of both Commercial & Residential. 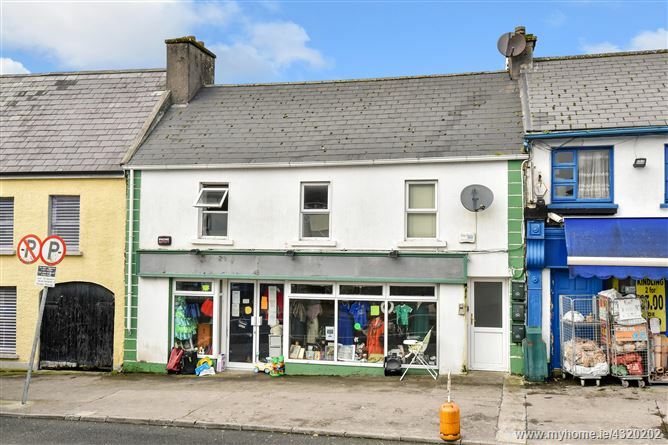 Situated in a central locale of Loughrea, the property enjoys a high profile position on the eastern side of the town. The ground floor frontage offers a large commercial unit with approximately 77 sq.m of usable space, whilst the residential aspect is arranged between three apartments all offering one bedroom, bathroom & kitchen/living areas. At the rear of the building, an additional site with large space offers the potential for further development (STPP). Loughrea is a popular town of approximately 5,500 people which serves as a quality commuter town with easy access to Galway city, whilst still retaining a strong reputation as vibrant independent market town & an attractive residential area. Bride Street offers an excellent investment opportunity for a quality property in a central location of a popular market town. Comprising of retail space with storage & W.C. Room, circa 77 sq.m. One bedroom duplex apartment over ground & first floor with circa 35.31 sq.m. Lounge & Kitchen Area: 2.7m x 4.3m with fitted storage presses & worktops. First Floor: Bedroom 1: 5.2m x 2.0m with built-in wardrobe. Bathroom: 2.7m x 1.3m with tiled flooring & wall, shower, W.C. & W.H.B. One bedroom first floor apartment with circa 34.71 sq.m. Lounge & Kitchen Area: 4.4m x 4.3m with fitted storage presses & worktops. Bedroom 1: 3.3m x 4m with built-in wardrobe. Bathroom: 2.3m x 2.3m, with tiled flooring & wall, bath, W.C. & W.H.B. One bedroom first floor apartment with circa 37.92 sq.m. Lounge & Kitchen Area: 5.4m x 2.5m with fitted storage presses & worktops. Bedroom 1: 2m x 2.6m with built-in wardrobe. Bathroom: 1.8m x 1.8m with shower, W.C. & W.H.B.